Welcome to a new way of working. 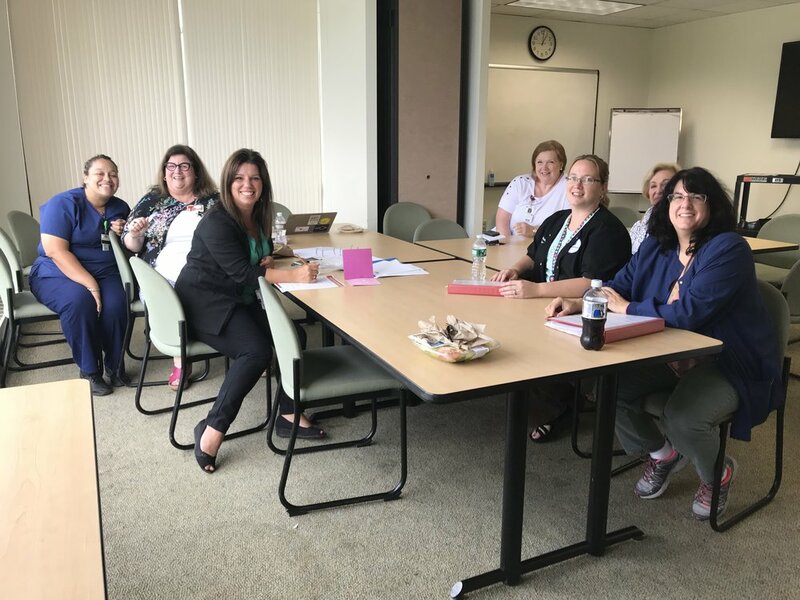 A Unit-Based Team (UBT) is a group of front-line employees, managers, and providers who work together to improve both patient care and their own experience at work. SHARE members want to make a difference. We want UMass Memorial to be the best place to receive and to give care. We intend to develop a culture in which all employees treat each other with kindness and respect. Our Hospital and our Union have committed to a partnership that can make those things happen. The UBT creates a structure for cultural change, and it also relies heavily on techniques from Quality Improvement science. We experiment. We measure and track our results. We assess and adjust. And we keep making things better. We’ve adopted the UBT concept developed by the Kaiser Permanente Labor Management Partnership, which claims the largest and longest-running alliance between an employer and its unions in the US. Over 110,000 union members in the KP healthcare network work in departments with Unit Based Teams. Through their UBT’s, union members have developed projects side-by-side with partners in management to make measurable improvements on the care-giving, culture, morale, quality, and profitability of their hospitals. SHARE and UMass Memorial leaders worked with leaders of their LMP to design a program tailored to the needs and culture at UMass Memorial. Each Unit-Based Team has a union member and manager Co-Lead. Together, the Co-Leads make sure that the team’s projects move forward. 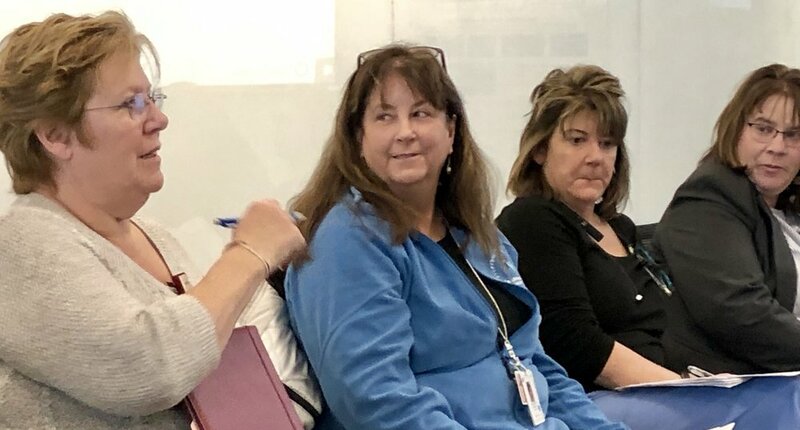 Co-Leads coordinate meetings of the core Unit Based Team committee, communicate progress, encourage participation by everyone in the broader work area, and work to ensure that front-line staff are deeply involved as respected partners. Our own in-house Consultants — who are themselves highly-trained and experienced in Quality Improvement science methods — coach the teams. A designated Consultant guides each UBT as they select improvement projects, find methodologies to address problems, and measure outcomes. Union and management Co-Sponsors work together to designate new teams. The Co-Sponsors support existing teams by removing barriers, coordinating interdepartmental communication, and aligning each UBT’s goals with the broader, system-wide goals. The Co-Sponsors are accountable to the SHARE-UMass Memorial Labor Management Partnership Council. “UBT’s give us the time to fix the process, and to share our best practices,” says Jonna Dube, our hospital’s Senior Director of Ambulatory Services, and management co-sponsor. UBT Co-Leads compare their experiences and celebrate their successes at Peer Learning events. The first five UBTs launched in 2017; those teams continue to produce meaningful results, doing work that they’re proud of. There are currently thirteen UBT’s, and more will be launched soon. Over the next few years, the number of UBTs will grow to include all SHARE departments. The Primary Care Clinic UBT in the Benedict Building, seen here at a team huddle, tackled the problem of walk-in patients first, because every walk-in causes huge disruption for the staff. Team members measured how much time was wasted, brainstormed better ways, and tried them out until they found what worked. Now everyone knows how to handle walk-ins, patients are being seen, the clinic is being paid for those visits when they often didn’t before, and staff feel great!